The Canadaland report on Bell’s plans to apply to the CRTC to create a website blocking agency unsurprisingly sparked immediate widespread concern. I provided further detail on the proposal, noting the danger of establishing a blocking system without court review of the block list and the very weak case Bell makes to justify it. A critical aspect of the Bell proposal is that it must convince the CRTC that website blocking would further Canada’s telecommunications policy objectives. Given that the CRTC has already ruled that the law prohibits blocking without its approval, that is a difficult standard to meet. I argue that the three justifications raised by Bell – that piracy “threatens the social and economic fabric of Canada”, that the telecommunications system should “encourage compliance with Canadian laws” and that website blocking “will significantly contribute toward the protection of the privacy of Canadian Internet users” – is very weak. In fact, the privacy argument is not only weak, it is incredibly hypocritical. 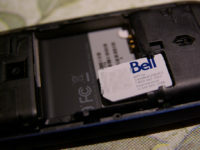 Bell is arguably the worst major Canadian telecom company on user privacy and its attempt to justify website blocking on the grounds that it wants to protect privacy is shameful. There are obviously far better ways of protecting user privacy from risks on the Internet than blocking access to sites that might create those risks. Further, with literally millions of sites that pose some privacy risk, few would argue that the solution lies in blocking all of them.